Today let’s revisit a prompt from 2014 - May is Mental Health Month so now seems like a great time to explore the emotional side of living with, or caring for someone with, diabetes. What things can make dealing with diabetes an emotional issue for you and / or your loved one, and how do you cope? (Thanks again to Scott for this 2014 topic.) I seem to be in a good place with my diabetes management at the moment, as I’m blogging less about my own diabetes experiences and more about what is going on in my wider diabetes bubble. So my “What Brings me Down” blog post is more about all the things that are frustrating, overwhelming and make me want to cry in the world of diabetes advocacy. However, there is one area that does bring me down recently. Several nights, not in a row, of CGM alarms disrupting my sleep are bring me down. Is it just a phase or is it a new trend? Being overwhelmed with the night time alarms not being consistent so I can’t use the information to make changes is bringing me down. Oh and the thoughts of doing basal rate checks is bring me down too. I’ve no problem doing, no, I’ll correct that to, I have the least resistance in doing basal rate checks at night. Go figure that one! My anxiety levels elevate a bit when I consider doing basal rate checks during the day because I’m always running around and I “chauffeur” during the day (school dropoffs and pickups). So, and please don’t be horrified by this, but in my 7 years on an insulin pump I have not done basal rate test in daylight. But since I learned more about Sugar Surfing last weekend I have a renewed ambition to tackle this. What seriously brings me down is trying to explain what living with diabetes is like for me and not receiving compassion or understanding. Being met with the challenge of lack of knowledge and being met with a lack of empathy because the tabloid media and some health care professionals continue to reinforce the myth that diabetes is a self-indulgent condition and therefore deserved. What brings me down is trying to fundraise for anything related to diabetes, especially to improve diabetes health care services in Ireland, in a world that doesn’t seem understand or want to understand why we need those things. What brings me down is how heavily we rely on our own community to fundraise when we are such a small one. “– In Waterford, the vacant Consultant post there was advertised last year and we have to wait over 6 months for interviews to be held and possibly up to a further year for the post to be filled. – Following the transfer of a Consultant from Sligo Hospital to Limerick University Hospital, nothing is being done to date to recruit a replacement in Sligo. What brings me down is the fact that our health service published a standard of care document for children with type 1 diabetes in December 2015 and have absolutely no progress or indication that it will be implemented any time soon. And finally, what brings me down is the fact that there is NO standard of care document for adults with type 1 diabetes and even if the health service ever gets around to publishing the delayed since June 2016 document for us, I feel like it will never, ever be implemented and I am on my own to advocate for myself. It’s the never-ending-ness of the work needed in the diabetes advocacy world and the constant two steps forward, one step back and sometimes two steps back, that brings me down the most. This week is Diabetes Blog Week which is in its 8th consecutive year. This is my second year participating. Diabetes Blog Week was started by and is still instigated by fellow type 1 Karen Graffeo in Connecticut who blogs at Bitter~Sweet Diabetes. 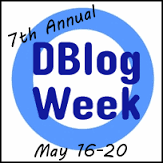 This week is as a way for multitudes of D-bloggers (well over 100 participants from ALL OVER the World each year!) to share a huge variety of perspectives on issues relating to our illness. Learn more about Diabetes Blog Week here. I tend not to judge the friend, acquaintance or complete stranger too harshly when the say something that doesn’t particularly sit well with me. I find when I use this moment as an educational and awareness one we both walk away happy… I hope. “You know, someone at my work has diabetes and they don’t seem to have all the things you have to manage it. Maybe you should try to simplify what you are doing. You don’t need all of those things.” from Diabetogenic. I immediately thought of a conversation I’ve had that was so similar but this conversation was with a person with type 1 diabetes. It was during the time that we were organising the very first Thriveabetes Conference. We sent out press releases to every media outlet we could think of, and a researcher from a very well known radio programme called me to, you know, do research. I immediately launched into my Thriveabetes "Sales" Speech about the power of peer support in helping people with type 1 diabetes and why I believed the event was so important. It was only when I talked about the mental burden that living with type 1 diabetes can sometimes bring that this person revealed that she was a person with type 1 diabetes. She went on to challenge what I had said by saying that she disagreed with my personal experience of living with type 1 diabetes. She did not feel that way at all. She said that just got on with it, diabetes didn’t get in the way of her life at all and she didn't think about her type 1 diabetes much at all. I did respond that I thought that was great for her but my experience and a lot of people I knew shared my views. She made me feel like a failure! She implied that I was doing way too much to take care of myself and making a big fuss about an illness that she found easy to manage. I choose to believe her because I don't know this person. Who am I to challenge her about how well she manages her diabetes? But I felt I was not getting the same respect. It was so hurtful! And I didn’t know how to respond! I think that I may have gotten her back up a little with whatever my flustered response was because we never got a call back to do an interview. This wasn’t the last time that similar conversations have happened. But I now feel that I handle them better. I jump in straight away with compliments on the diabetes knowledge and commend them for finding their way. I express my mild jealousy on how easy they have it. If this person allows me to explain a little about how I feel, that should be all I need. I hope that this is enough to illicit a smidge of respect and understanding that not all people with diabetes are the same. This week is Diabetes Blog Week which is in its 8th consecutive year. This is my second year participating. Diabetes Blog Week was started by and is still instigated by fellow type 1 Karen Graffeo in Connecticut who blogs at Bitter-Sweet Diabetes. “Karen created this annual week-long blog carnival as a way for multitudes of D-bloggers (now more than 100 participating each year!) to create an unprecedented sharing of perspectives on issues relating to our illness. You can learn more about this effort, and sign up yourself if interested, here.” #DBlogWeek! I’m one of the lucky ones. I was born in Ireland. I’ve lived there most of my life. But I’m not lucky because I live in the Gorgeous Green Kingdom. I’m lucky because 50 years ago a bunch of people who live with diabetes got together at a meeting and said that their mission was to provide free insulin for everyone living in Ireland who needed it. (Yes, we pay for it through our taxes but really, it’s free.) And two months later it happened. Then in 1971 all other diabetes medication and supplies became free. This is why I am lucky. I’ve been following the American coverage of the cost of insulin with a broken heart and feeling of helplessness. And I know that there are countries in the developing world where a vial of insulin is a number of days of walk away from the people that need it. I did have difficulty accessing diabetes technology in the form of an insulin pump and a cgm and diabetes education is still difficult to access here but this seems so insignificant compared to not being able to afford or get your hands on insulin. I read the book "Breakthrough: Elizabeth Hughes, the Discovery of Insulin, and the Making of a Medical Miracle" over the Christmas holidays and it detailed those first few years where Insulin production was unstable and there wasn’t enough for everyone. Neither of the manufacturing companies couldn’t make it fast enough. Access to insulin was because there wasn’t any. My diabetes doesn’t cost me anything but my time. This is sometimes a bit of a weight on my shoulders as my clinic appointments happen when I am supposed to be collecting my children from school. But it’s also a huge relief. WARNING - this post will be boring!!! I feel like I’m the only person with diabetes in the world who doesn’t cook. I hate cooking!!! It goes back to my childhood where as the eldest girl it was expected that I would cook and I do NOT like being told what to do. It was also enabled by my husband, who when we met was vegetarian - I was reared on meat, potato & veg. I also am not a big fan of the spud either - am I really Irish!?! Anyways, he insisted on cooking and I didn't put up much of a fight. So here’s what someone with diabetes, who does NOT cook, who would be me, eats on an average day. And it will be, as expected, very boring! Breakfast: Most mornings I go for the low calorie porridge. On weekends I go crazy and have 2 slices of wholemeal toast (dripping in butter) with two cups of tea. Can't function without a cup of good old Irish tea. Lunch; Weekdays; Salad, protein, rye crackers for crunch!  And a piece of fruit - whatever’s in season. On weekends; 2 egg omelette with whatever is in the fridge plus cheese, a slice of bread & a piece of fruit. Dinner: Could be anything! I am married to a wonderful man who DOES cook and is very, very good at it. In exchange I do LOTS of dishes - it’s actually in our pre-nup. This dinner is wholewheat spaghetti with a cooked from scratch tomato and a smoked sausage called cabanossi. And it was DE-licious! Dessert: Every evening I have a little something nice like Chocolate or ice cream. Plus a last round of Tea. I know, I know but there are worse things out there and I don't have problems sleeping - so why not! I’m taking part in the 7th annual Diabetes Blog Week, which runs from 16th to 20th May. Founded by Karen at Bitter Sweet Diabetes. Today's topic is The Healthcare Experience Most people who live with a chronic illness end up with a lot of experience when it comes to dealing with health care. How would you improve or change your healthcare experience? What would you like to see happening during medical visits with your healthcare team? How about when dealing with your health insurance companies? What's your Healthcare Wish List or Biggest Frustration? Today is the day to share it all! I think I’m one of those few people who has changed my diabetes healthcare team more than the average person with diabetes. My current count is 7 clinics/endos. Is that a lot? It feels like a lot! I could tell you all the things that have been said to me that made me walk from all those clinics/endos but that’s just too depressing. Instead I am going to focus on what my ideal clinic appointment would be like. Parking - you would think that when they built these giant hospitals, or even now that they are redeveloping them that they would build the multi storey car park first?!? I spent 40 minutes one day driving around until I got a space in a housing estate about ¼ mile away. IT'S A NIGHTMARE!!! The Waiting Room - I recognise that not waiting at all is a bit too much to ask, so wouldn’t it be nice if the waiting room was more sociable? I mean it’s a mini-support group right there. And what if there was tea and coffee available? I drive 1 hour to my clinic - I’d kill for a cuppa! There isn’t even a vending machine at most clinics I”ve gone too. The person who does the health checks should identify him/herself as what she is, as well as her name. Sometimes it's a nurse, sometimes its a healthcare assistant - I would like to know. The doctor-in-training I see next, I would like them to listen more, I know I will probably never see you again but find out more about me and learn from me. Start a personal file on me in addition to my medical file. My endocrinologist - we will be seeing each other twice a year for a lot of years, so get to know me. My favourite consultant, who actually left me and not the other way around, always greeted me with a very firm handshake and a very hearty “How are you doing?” She actually meant it! And asked after my family. It was like being met with a hug. Clinic visits are just so clinical. I spend so much time going through my team’s recommendations one by one, explaining why I don’t think they are going to work. I need to feel listened to. I would love to leave that building having met one or two new people in the waiting room, maybe even a friend, with a feeling of “I can do this” as I leave and have received a pat on the back NO MATTER WHAT! NOTE: I also should point out that I am one of a minority who already has an insulin pump and a CGM. If I didn't have either of those devices my list would MOST definitely include access to them. Some Irish diabetes clinics don't even have insulin pump programmes or structured diabetes education and I am helping Diabetes Ireland advocate for these basic necessities.